Located directly in the Roaring Forties and fully exposed the brunt of the Southern Ocean swells Van Diemen’s Land has been on my radar for a fair while already. I followed the great pioneers in their explorer-spirit and my discovery voyage took me 7200km back and forth crisscrossing around the entire island. Considering it’s only 315 km (180 miles) from west to east and 286 km (175 miles) north to south, I scoped out ‘quite a few’ places here and changed my return ticket twice as I simply could not get enough of it. I had found kite-wonderland! The wind is almost always blowing and no matter where you are on the island, you’re never more than an hour away from the ocean. 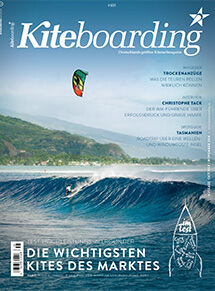 There’s kiting all around and you can easily whizz from one side to the other. 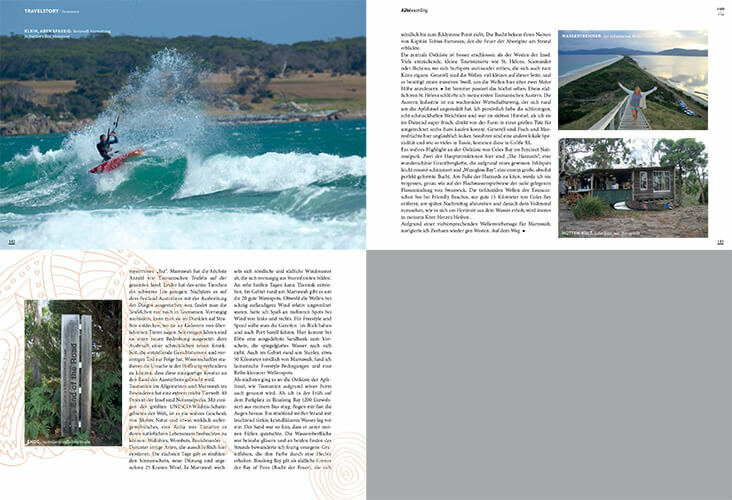 The number of spots (wave, freestyle, speed) is sheer endless with some of the cleanest air and water in the world. It would be absolutely foolish to even only attempt packing all my experiences into a few pages. 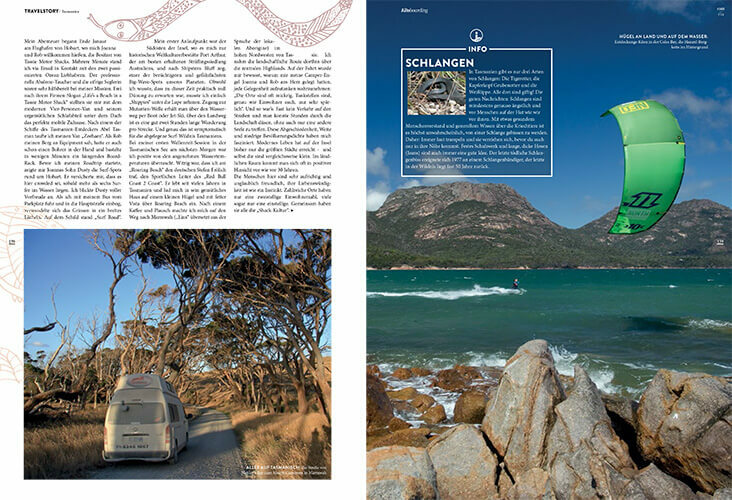 And this article focuses on some of the highlights during my road-trip in one of Tassie Motor Shacks joy vans. 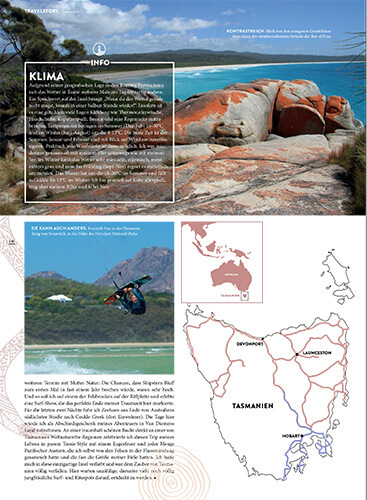 This is my love tribute to Tasmania, on 10 and a half pages in the leading German magazine Kiteboarding.eu … what an absolutely unique and mind-blowingly fascinating paradise this island is !!! Read the article either online right here or download it as pdf onto the device of your choice simply by clicking on the button below. 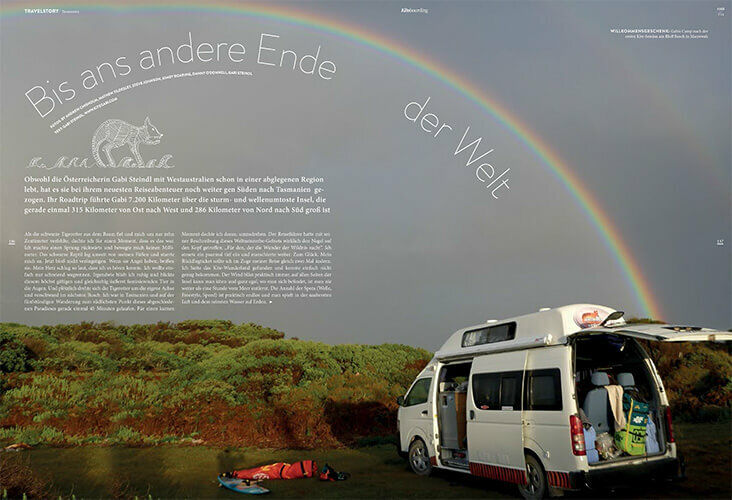 If German isn’t your native language, don’t despair! 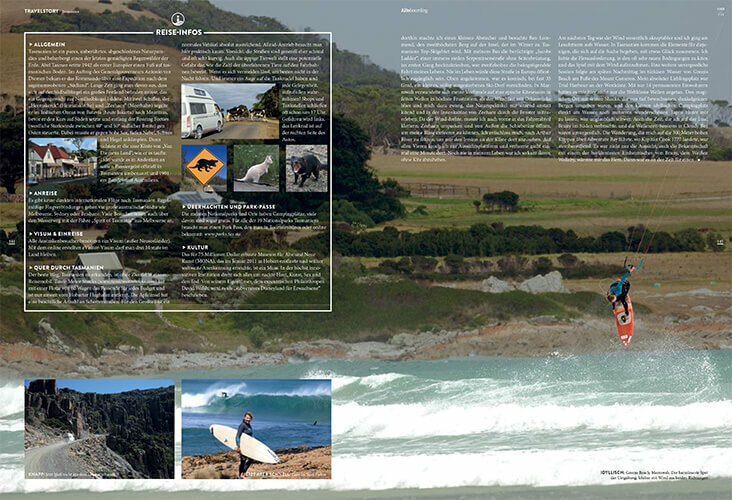 Here’s the French version on 10 pages in Kiteboarder Mag, the English on 10 pages in Kiteworld, and the Spanish on 6 pages in Surf a Vela, have fun !